Welcome to the South Lake Tahoe Friends of the Library! 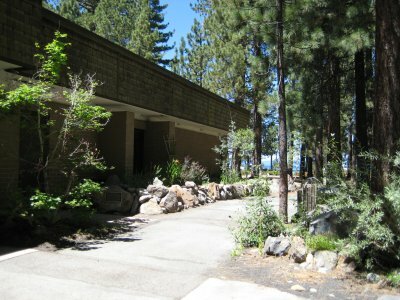 The South Lake Tahoe Friends of the Library raises funds that are used to purchase books and other materials, including DVDs, eBooks, audiobooks, magazines and newspapers. We provide strong support to children and teen events, especially the Summer Reading Program. We were instrumental through a PAC in securing an ongoing parcel tax which provides additional funding or the library so that we can retain current hours and staffing. Our community is supportive of our efforts and we encourage their membership and involvement. Our Board of Directors meets every other month on the third Wednesday (beginning in January). The board meets at 1pm in the Conference Room of the library with all meetings open to the public and participation is encouraged. Chapter elections are held in November. Three used book sales are held each year, normally in March, July or August, and November, in the Library Conference Room. The sale runs from 10am until 3pm with members allowed in for an early bird sale at 9am and a chance to win a free bag of books. Books are also available in the library lobby year round. The primary source of funds raised for the library is though our book sales, however, we sponsor a community fundraiser on alternate years. We also sponsor a book club which meets the third Wednesday of every month at 3pm in the Library Conference Room.